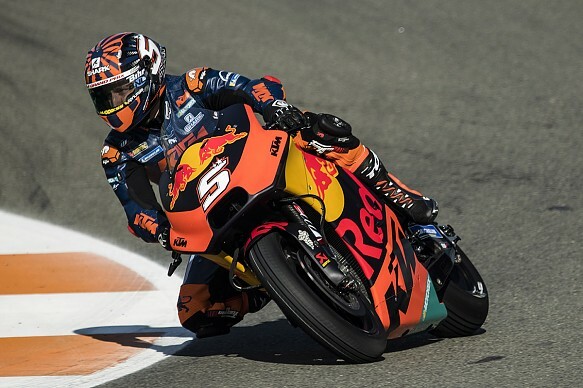 KTM's new MotoGP signing Johann Zarco admitted he was left with mixed feelings after being "a bit slow" in his first run with the RC16 bike in Valencia testing. Zarco, who has been a regular frontrunner in the premier class in his two years on a 2016-spec Tech3-run Yamaha, made his debut on a KTM in the post-season test on Tuesday. 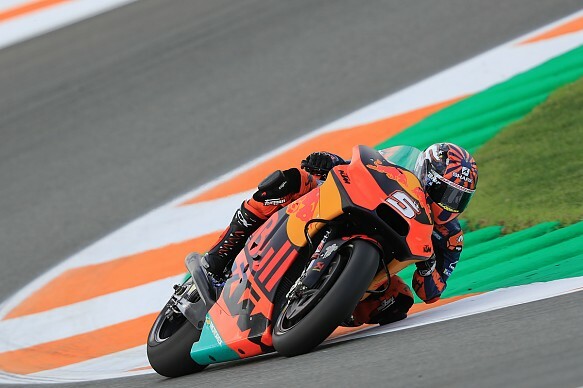 He was the first rider to hit the track in testing, but ended the rain-curtailed opening day only 17th - 1.4 seconds off the pace and over six tenths down on new team-mate Pol Espargaro. Zarco stressed he was buoyed by the potential he saw in the factory team, but added that he had a "little bit of a down feeling about the lap time that didn't come easy. "We had to change quite a lot of things on the bike just to find the base of the bike. "It's not a drama because it's the first day, it's really another spirit of bike compared to what I had during two years in MotoGP. "Once we're going to find a good base, I hope for some dry conditions tomorrow to start immediately at the better level of the bike. "We have been a bit unlucky that the rain started because we were not using the new tyres to try to be really fast, and we were on the way to have at least a better position today, but there was no time. "So, a half and half feeling." Zarco said his biggest problem on Tuesday had been a lack of confidence on corner entry. "It's a small track where you must feel comfortable to go fast into the corner, that was maybe the weak point today of the bike," he said. "It was not possible to play with the speed in the entry of the corner, so then you lose the time - if you come in too slow, you cannot be fast. "I think it was good to understand it already now. We don't have any problem about tyres, rear grip, rear spinning, I cannot complain about those things because we are still not fast enough. "We need to make things clear and then, when we will be quite fast, we will have the potential to work well. "I would say the entry of the corner has been the most difficult part for me today, that's why I've been a bit slow."